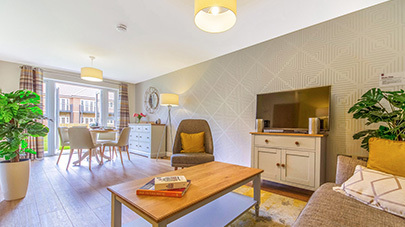 Whether you crave contemporary styling, flexible living space, stunning views or just a low maintenance home, we offer all these things and more at Eaves Court. Eaves Court offers meticulously designed one and two-bedroom apartments, each benefiting from their own unique features and views, but all sharing the same high standards of finish. 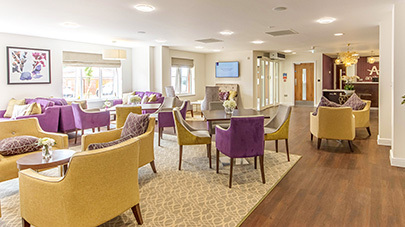 Our retirement apartments have been designed to meet the specific needs of older people and are filled with expert touches that make life easier, ensuring you can live in total comfort and feel proud of your new home. 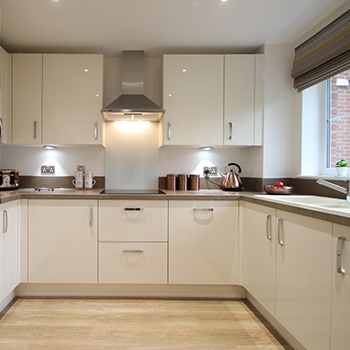 In our apartments internal doors are wider than standard, kitchen worktops and wall units are mounted lower, fridges and freezers stand side by side, storage drawers replace awkward cupboards, and plug sockets are raised higher – all for your increased comfort and convenience. Apartment lounges and bedrooms feature individually controlled underfloor heating and the door entry intercom can be accessed from the master bedroom as well as the lounge. 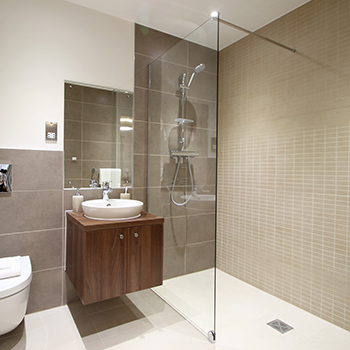 The two bedroom properties at Eaves Court also benefit from both a main bathroom and a step free, easy access ensuite shower room. 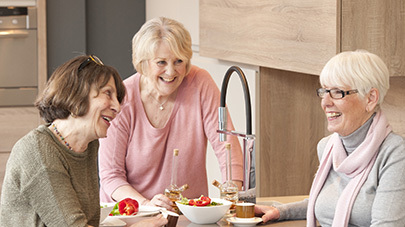 The carefully considered design features and high-quality fixtures and fittings found throughout each apartment at Eaves Court are the direct result of our 50+ years' experience in helping older people to make the most of later life, and will ensure you feel proud of your contemporary new home. Safety and security are of paramount importance to all of us. Eaves Court has monitored fire and smoke alarm systems throughout the building and a network of security cameras cover the perimeter of the whole site. Each apartment features triple locking doors and windows as well as the Anchorcall emergency call system which is supported 24/7 by dedicated members of Anchor staff. 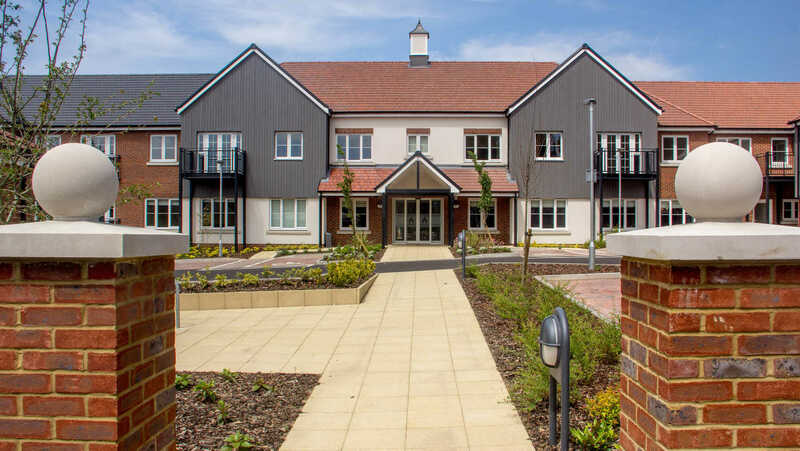 Always looking to the future, all properties at Eaves Court are built to NHBC (National House Building Council) standards and upon completion are issued with a NHBC certificate and associated 10 year warranty. Walls and ceilings are insulated to BREEAM standards and there is a substantial, yet discreet, solar panel array on the roof which will generate power for some of the communal facilities.